Paradise was found recently by members of the Florida Nursery, Growers and Landscape Association at last month’s annual convention, the 61st year of the event. A treat for members was the tour of the resort’s Flamingo Gardens, led by the resort’s garden naturalist, as well as a plant scavenger hunt, barbecue dinner, and special interaction time with the bird and wildlife residents. The convention also got down to business as well, presenting prestigious awards to eight industry members, electing new officers, the state of the association speech by CEO Ben Bolusky, and installing the new FNGLA president, Mike Marshall. To watch Mike’s installation were a dozen past presidents as well as many enthusiastic members who were also able to enjoy dinner and dancing at the tropical themed President’s Gala. 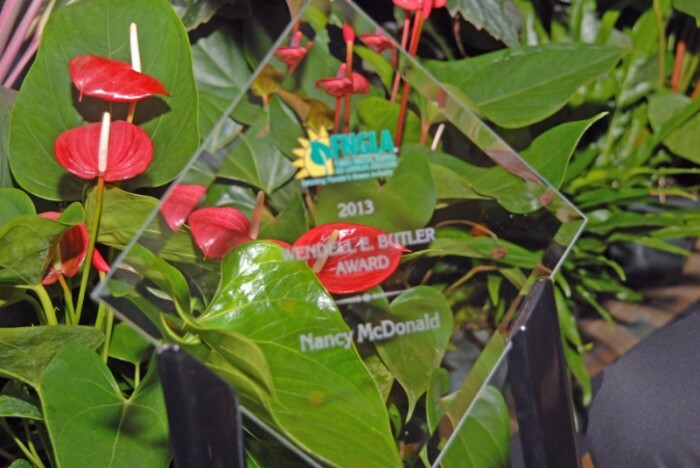 “FNGLA’s 61st convention was a celebration of not only the industry’s current accomplishments, but also a celebration of the people who make the nursery and landscape industry so great,” says Linda Adams, FNGLA’s COO. Up next for FNGLA members is the popular Landscape Show, happening from September 19-21, for horticulture professionals statewide to attend. There will be many firsts occurring at this year’s show, the most momentous being The America in Bloom (AIB) symposium, making its first-ever appearance at not just the show but hosted by any industry trade show. It has been a memorable year so far for FNGLA members and the events coming up look to only make the rest of 2013 even more in need of celebration. To learn more about the convention and upcoming Landscape Show, visit the FNGLA website at www.fngla.org.